I’m not sure what they were doing in geography class? "Don't you know what’s in your own continent and backyard? " I must have been the only person fascinated with the tiny dots in the atlas, scattered around our continent and massive island of Australia. Intrigue was always in the back of my mind. At 17, my parents took my sister & I on an island hopping adventure of a lifetime: New Zealand, Rarotonga, Tahiti & Moorea. New Zealand was beautiful, it kind of reminded me of Tasmania, rugged, picturesque & unspoiled. ...Then we arrived in Rarotonga! It instantly felt like I had returned home. Chantelle (my sister) & I pretty much slept for 8 hours each night, snorkelled in the lagoon for 8 hours each day and the other 8 hours were spent hanging out with a local guy, Mata George or ‘Sunshine’ as he's known here. He worked at the Edgewater Resort where we stayed. He was so friendly, smiley & full of interesting stories & facts about life on Rarotonga. I was in awe of this tiny little speck of volcanic rock covered in thick green jungle and a reef surrounding the island forming a turquoise lagoon that completely encircled the island. I had never seen anything more beautiful and the view still takes my breath away after 4 visits. 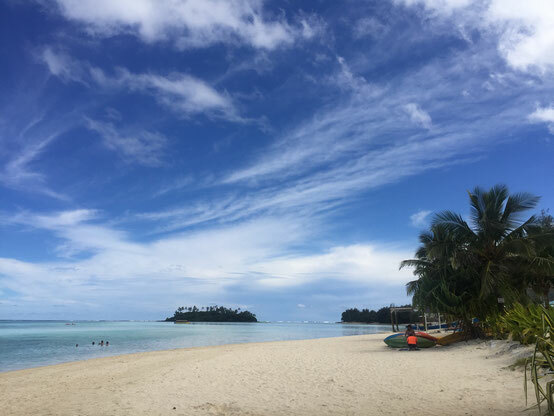 While the next 2 visited islands of Tahiti and Moorea were also a picture perfect paradise, I wanted to go back to Rarotonga and stay there. My first visit in 1992. 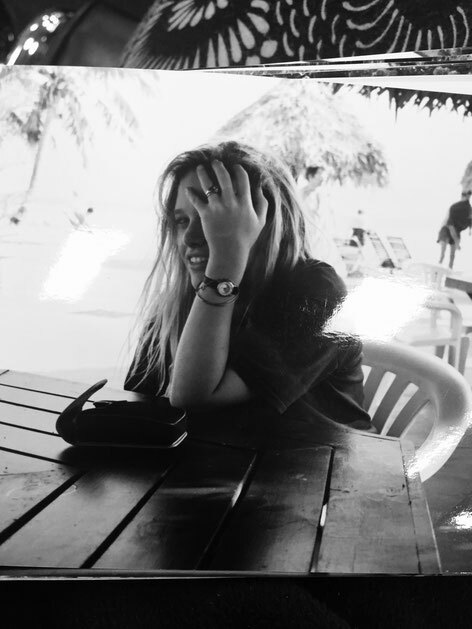 17 year old me at The Edgewater Resort, Rarotonga. My grandparents lived in Raro for 6 months before I was even born. My Pa received cancer treatment from the controversial Dr Milan Brych in the 70’s and I’m so glad, under the bad circumstances, they got to experience this place and be treated by an alternative oncologist who managed to shrink his lung cancer considerably, while in paradise!! They both stayed at The Edgewater Resort and Spa, back when there was not a lot of accommodation for visitors and I think that's why my Mum chose to bring us here. It's a great resort for families. With a population now of about 15,000 People, it is much the same as it was in 1992 on my first visit but there are a lot more visitors on the island now. It makes me sad that so many people are coming here because I want it all to myself, hehe. On the other hand I just want to tell all of you about it and how everyone needs to experience this place before they die!! ...I’m so torn. This is what brought me to starting this island website: My slight obsession with island life, island time & island food! So I’m going to tell you all about it, from my point of view. 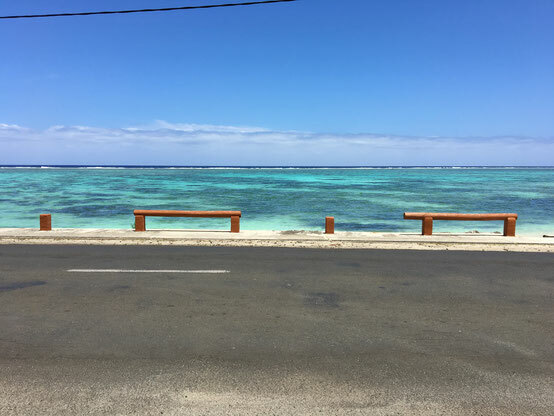 Because I’m a return visitor, I have been able to find the best accommodation for singles, couples & families wanting to stay in Rarotonga for the cheapest cost. -and other tourists sharing the same grounds and beach when you leave your room or bungalow. Urgh, get me away from people. I want to pretend I’m Tom Neale in ‘An island to oneself’ or Louis Robert Stevenson in 'Treasure island'. I’ve compiled a list of places that I have either stayed in or personally visited to check out and share with you so everyone can afford to stay here! If just once before you die. Cook Islands currency is the same as the New Zealand dollar so this makes it similar to the Australian dollar, quite expensive!! The average price of accommodation that pops up on websites is at $250 NZD or more per night! This is what I paid each night on my second visit in ‘09 when my then partner & I eloped. After our simple ceremony on the beach organised by Andrea Rongokea from __Wedded Bliss Rarotonga__ we went directly next door for our wedding dinner at another resort and noticed the prices were $500 per night to stay! Double? - Right next door! On my third visit in 2016 I decided that it was too expensive for accommodation and made it my mission to hunt down cheaper places in the same locations as the high end resorts. We ended up staying at a Backpackers and a group of privately owned, self contained bungalows. I will say, it was my first Backpackers and I really don’t think it can be beaten in the running for ‘best backpackers in the world’, seriously! 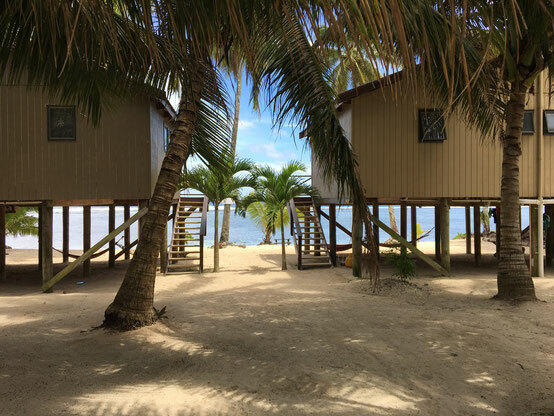 With a choice of a couple of larger beach units for 4-5 people, an A-frame hut for 2-3 people, rooms with an ensuite for 2 and regular dormitory style share rooms. Wt? Privacy at a backpackers AND beachfront location! This Backpackers also has to die for sunset views as it is located on the West side. It doesn't get much better. This year (2018) we rented a private house, 8 people for 8 nights for $2800 NZD. While the total sounds expensive, broken down it works out to be only $325 AUD per person for 8 nights (or $40 per night each). If we were to stay at a resort, we would have paid that amount for each room per night & would need 4 rooms as most only cater for 2 people. Whoa! If you only need enough space as a couple or single traveling, or enough room for a family wanting a tropical getaway, I have found the most cost effective places and ways for you to spend time & money on the island: not only accommodation but also activities that are free or affordable and the cheapest places to eat, so you can all experience island life and culture, without it costing you a fortune. I’m talking, an average cost of $100 per night, $5-$55 activities (some free) and $10 feeds! I’ve done all of the research myself...and tested 90% of featured places. Enjoy reading articles, looking at my photos and finding all the info you need to know about experiencing Rarotonga. Half price flights from Australia happen a few times each year so we can keep you notified when these happen just by signing up to our newsletter. Don't worry, we wont be annoying and fill your inbox. Just notify you about the best deals you will be able to afford. Check our 'Flight Super Specials' page for these rare cheap flights when they are on offer a few times a year. Beautiful lagoon all around the Island. 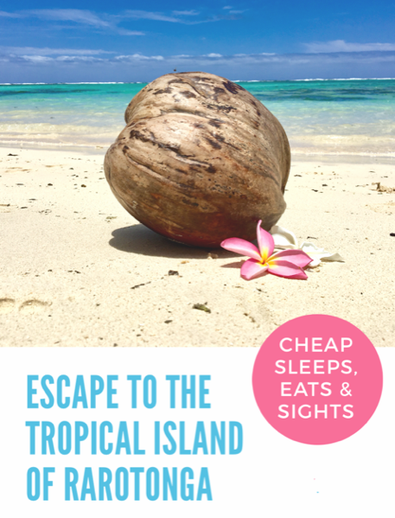 We hope you will be inspired to plan your hammock holiday to Rarotonga using the information here. 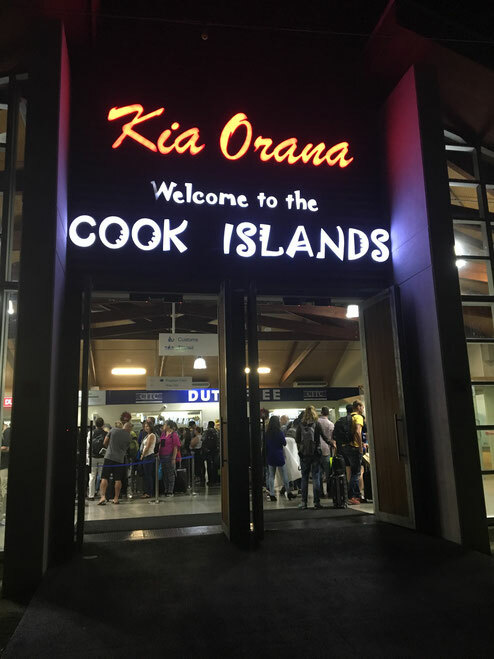 We assure you'll find the cheapest of everything on offer here at See Cook Islands.